SriLankan Airlines picked up another accolade when China’s Top Travel magazine named it the ‘Best Airline in South Asia’ at the 10th Annual Top Travel Awards, recognising SriLankan’s continuous efforts at expanding travel between China and Sri Lanka. 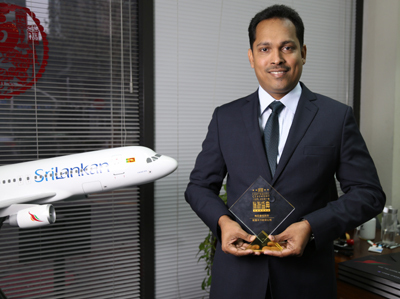 This is the latest in a string of awards for Sri Lanka’s national carrier. SriLankan Airlines was recently crowned the ‘World’s Leading Airline Operating to the Indian Ocean Region’ at the World Travel Awards and ‘Best Full Service Airline in Central and South Asia’ for the second consecutive year at the Future Travel Experience Asia Awards. Last year, SriLankan was named the ‘Most Innovative Marketing Airline in China’ by Life Weekly magazine.